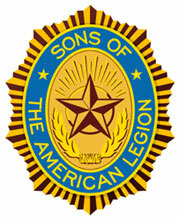 Search "Sons of the Legion Plano" on Facebook for information about our squadron. Are you a a son of a veteran? Would you like to join The American Legion? Check your local American Legion Post where you can find out your eligibility status and apply for membership in the world's largest veteran's organization. Complete the application and proudly become a SONS OF THE LEGION. A: If you are a direct decendent of a veteran who served on active duty during one of the membership eligibility dates and is a member of The American Legion, you may join the Sons of The American Legion.